Imagination takes flight with our Freedom globe. 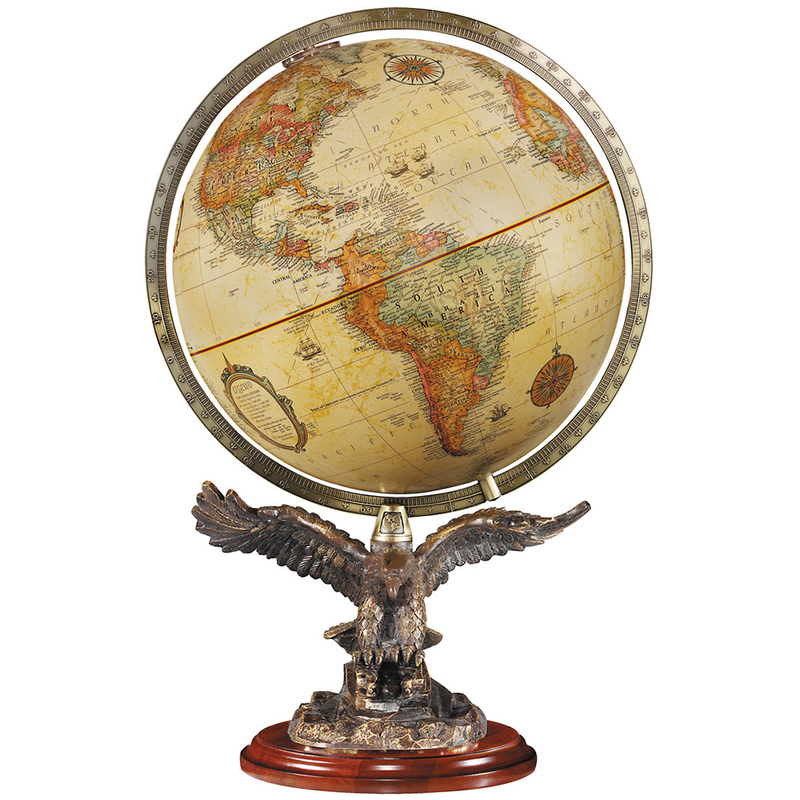 This 12” antique-ocean globe with numbered meridian features a magnificently detailed resin eagle with bronze finish and gold accents atop a walnut-finished hardwood base. 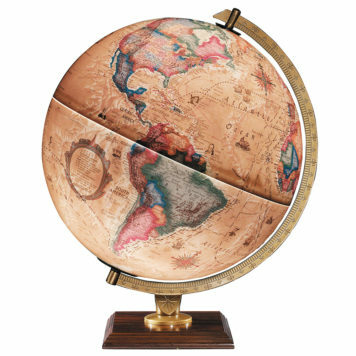 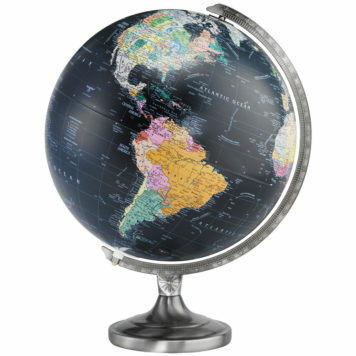 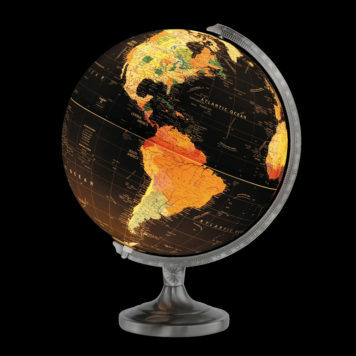 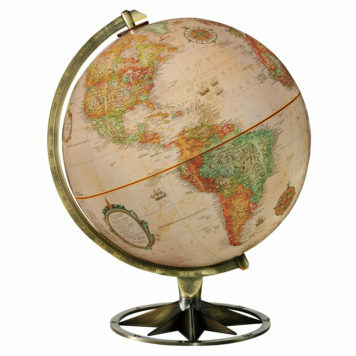 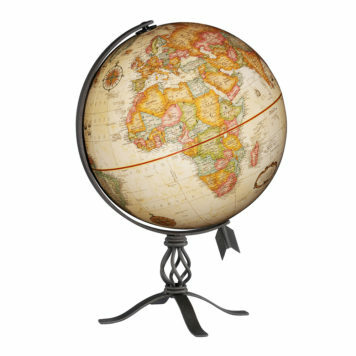 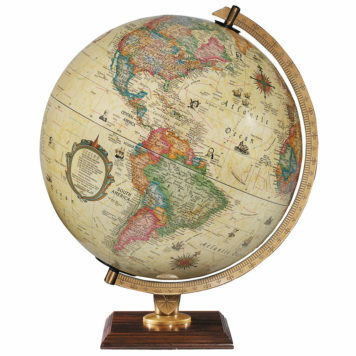 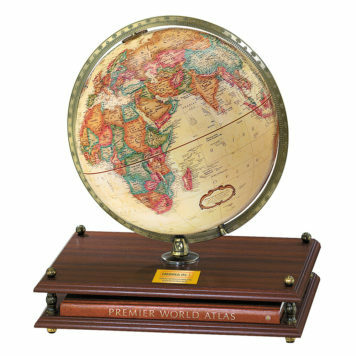 This globe is a majestic symbol and work of art for any room.